General Motors extended significant support to Solar Decathlon Middle East as part of its commitment to achieving a future of zero crashes, zero emissions and zero congestion globally and across the Middle East. The President and Managing Director of General Motors Africa and Middle East, John Roth, and its Head of Future Mobility, Gary D. West joined the Virginia Tech team at the Solar Decathlon Middle East competition basecamp to discuss changing needs in sustainable housing and mobility, as well as smart technologies best practice. General Motors was the Official Mobility Partner of the Solar Decathlon Middle East and as part of its drive to promote awareness of alternative propulsion, the company provided 15 Chevrolet Bolt EVs to the competition. The diverse teams which participated in the contest had members which were drawn from 11 countries and 28 universities. Using the vehicles which were provided, the teams were able to integrate EV charging into the sustainable housing solutions that were expected to be compatible with the weather conditions in the region. John Roth and Gary D West toured the various innovations that were a part of the Virginia Tech team’s FutureHaus sustainable home concept, to learn more about the thinking behind the project. The tour was led by a student designer and joined by Professor Joseph Wheeler from Virginia Tech. After the tour, John Roth and Gary D West discussed current trends in technology and mobility and the work GM is involved in to create a future of zero emissions, zero crashes and zero congestion. The group also discussed innovative concepts related design, manufacturing and mobility, while Roth highlighted the links between the Virginia Tech team’s approach and GM’s own culture of innovation and thinking people-first. Commenting on the visit, John Roth said: “The team at Virgina Tech have done a stellar job in designing a not just sustainable, but adaptable FutureHaus. 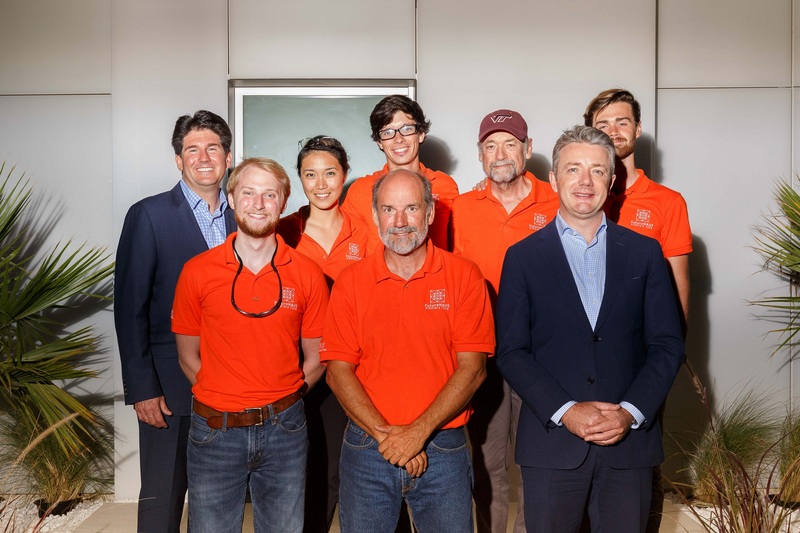 At GM we have a culture of constant innovation, which is aligned with Virginia Tech’s efforts to create a ground-breaking house of the future for Solar Decathlon. He said that in order to complement the cutting-edge design found across the Sheikh Mohammed Bin Zayed Solar Park, GM provided its zero emissions Chevrolet Bolt EVs. Designed with sustainability in mind, the Bolt EV represents a significant advance toward a cleaner, brighter future. He went on to express his eagerness to learn more about how all the teams combined the Bolt’s design and range to showcase their concepts. The Solar Decathlon was introduced to the region by Dubai Electricity and Water Authority (DEWA) to help advance His Royal Highness’ Sheikh Mohammed bin Rashid Al Maktoum’s vision of a green, sustainable future. The Solar Decathlon was organized by DEWA in partnership with Dubai Supreme Council of Energy and the US Department of Energy for the first time in the Middle East and Africa. Fifteen teams, representing 28 universities from 11 countries around the world took part in the contest.